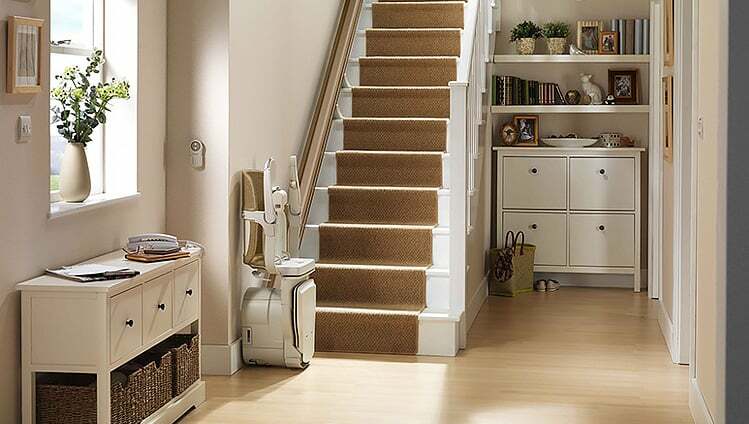 Stannah stairlifts offer the finest in quality, safety and style that is available in the industry today. With features such as quiet and smooth battery power, safety edges, seats arms and footrests that fold up out of the way, and many choices of upholstery fabrics and colors, we are certain that have a model that will suit you. Also, ask us about our Rent to Own program. 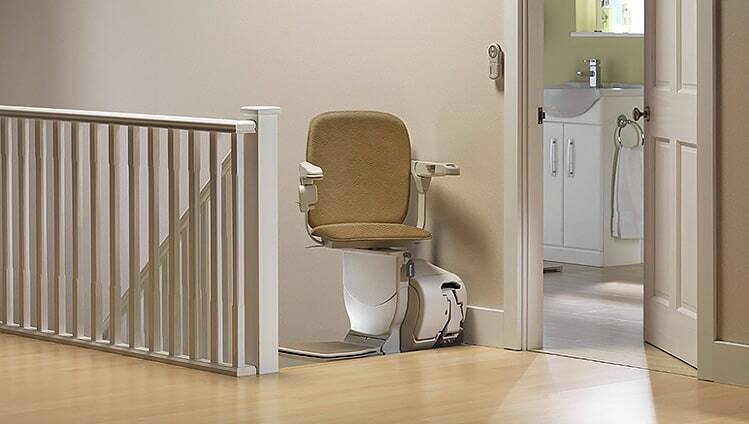 This may be the answer you are looking for if your are not sure how long your stairlift needs will be. Battery power with a trickle-charge system that is constantly trickle-charging the batteries with 24 volts of power. This virtually eliminates the biggest cause of service calls (dead batteries) that affects the more basic stairlifts you may see advertised. 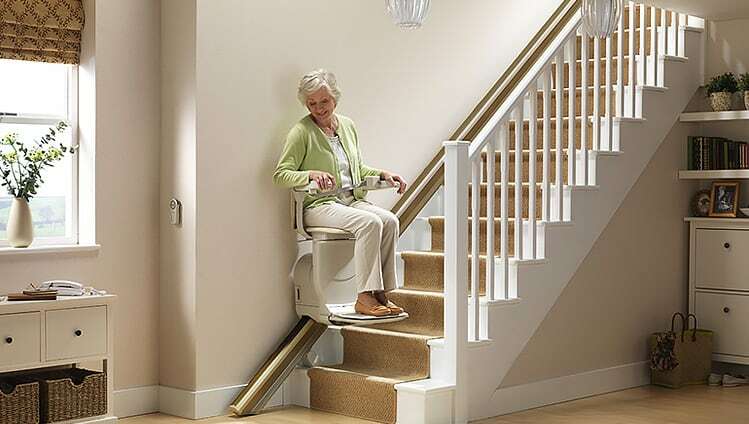 In the event of an outage the stairlift will typically give you 10-20 round trips on battery power alone should the power to your house go out. Folds-up out of the way. The seat, arms and footrest fold up so that they are out of the way of the foot traffic going up and down the stairs. A swivel seat. 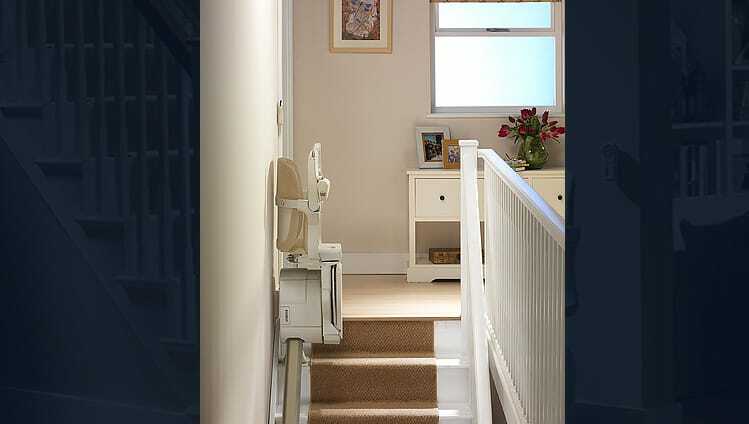 At the top of the stairs the stairlift can be swiveled to face onto the top landing, so that the back of the chairs blocks the stairs behind the user. An optional powered swivel seat. With a manually-swiveled seat (on any stairlift, not just ours) the user has to stand close to the top of the stairs to swivel the chair. Our popular powered swivel seat allow the user to swivel the chair by simply pushing the button on a remote – safer! An optional automatic or hinged rail. 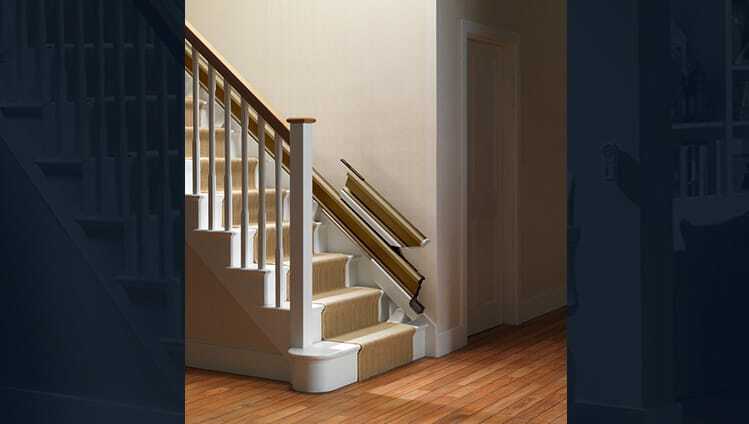 When there’s a door or passageway at the bottom of the stairs the rail could present a tripping-hazard. In these cases we specify a fold-up track that that can lift automatically as the chair rides up the stairs, and unfolds as the chair descends. Stylish Seat and Upholstery options. Stannah offers a choice of seats, with both the standard Siena and upgraded Starla. Both of these chairs come in a variety of colors and fabric. Rent to Own program. 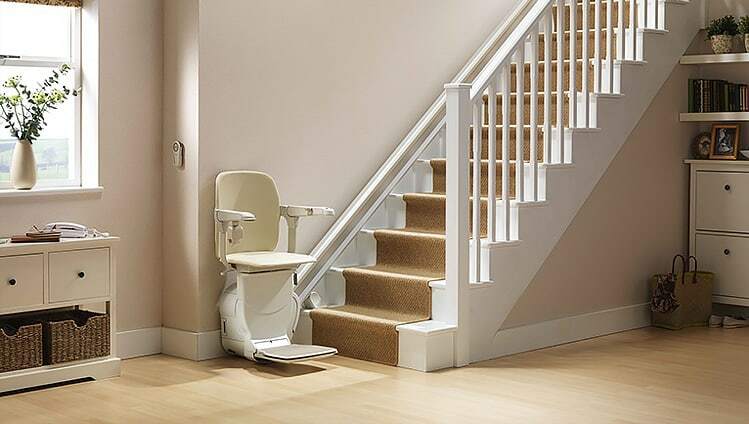 We offer a Rent to own program for situations when you don’t know how long you will need a stairlift for. This program gives you the flexibility to basically rent a stairlift for a short tem and then have the option to purchase the unit if you find that your needs have become longer term. We are proud to announce the launch of our new Scout Lift for straight stairs from Stannah Stairlifts. The Scout offers the same reliability and proven value that Stannah lifts are known for but in a budget friendly package.